SUCKER Volume One is now available on Comixology! If you missed out on the Kickstarter, here's your chance to grab a hot digital slice of grind-house vampire terror. 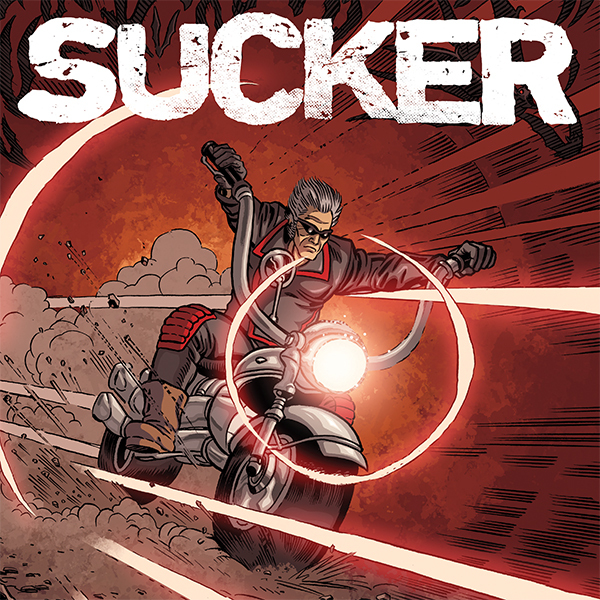 The first Volume of SUCKER is now available for purchase on Comixology! Co-written and pencilled by Tony Talbert, Inked and Edited by John Heebink, colored by Paul Little and co-written and produced by myself, this mayhem filled 64 page experience can be yours for $5.99!